Author: Andrews, V.C. Set In . . . Description: From the legendary New York Times bestselling author of Flowers in the Attic and My Sweet Audrina (now Lifetime movies) comes the first book in the Castell Family series—for fans of Emma Donoghue (Room) and Kay Hooper (Amanda). Of all the folks on the mountain, the Casteel children are the lowest. Even the families that buy them think so. Heaven Leigh Casteel may be the prettiest, smartest girl in the backwoods, but her cruel father and weary stepmother work her like a mule. For the sake of her brother Tom and the other little ones, Heaven clings to the hope that someday she can show the world that they are worthy of love and respect. 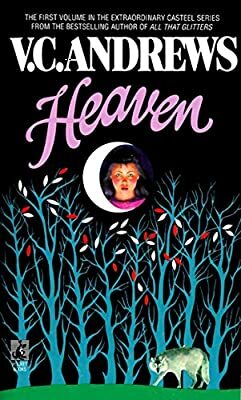 But when the children’s stepmother can’t take it anymore and abandons the family, Heaven’s father hatches a scheme that will alter her young life forever. Being sold to a strange couple is just the beginning; ripping away the thin veneer of civilization and learning the adult secrets of the world around her means Heaven must abandon someone, too—the child she was, to become the woman her mother never had the chance to be.